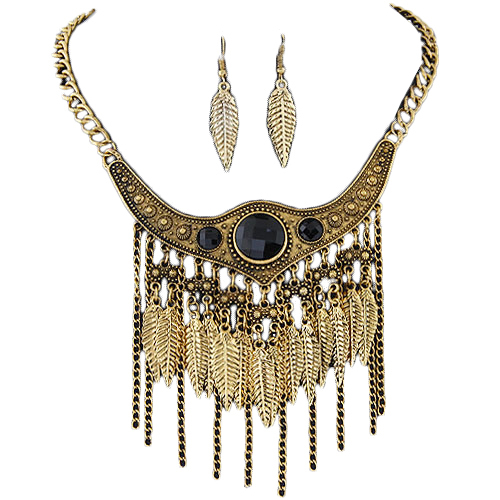 Fabulous Pascaline Boho Necklace Set consists of a fringed necklace and leaf-shaped drop earrings. The golden necklace features faceted black stones, fringed and leaf-shaped dangling details. Boho jewellery Australia at its best, hot design, top quality and simply affordable.